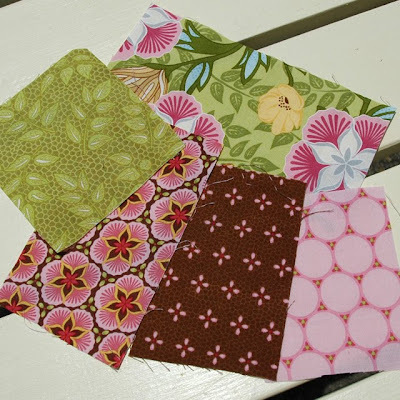 Amanda Murphy Design: Introducing.... "Ambrosia"
I am very pleased to introduce "Ambrosia", my first line of quilting fabrics for Robert Kaufman. I just got the strike-offs this week and wanted to give you a sneak peek. 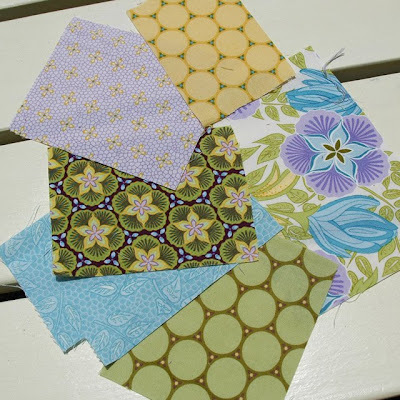 The fabrics WILL NOT BE IN QUILT SHOPS UNTIL SEPTEMBER, but I will be creating some special patterns for them this summer to debut in the fall, so check back in. The Buttercup fabric that is pictured here with the Spring grouping (big yellow circles with tiny flowers in between) actually coordinates with both families. The families can be mixed and matched as well.